April 15, 1912 was a sad day. Eat Well! Wear a Seat Belt! 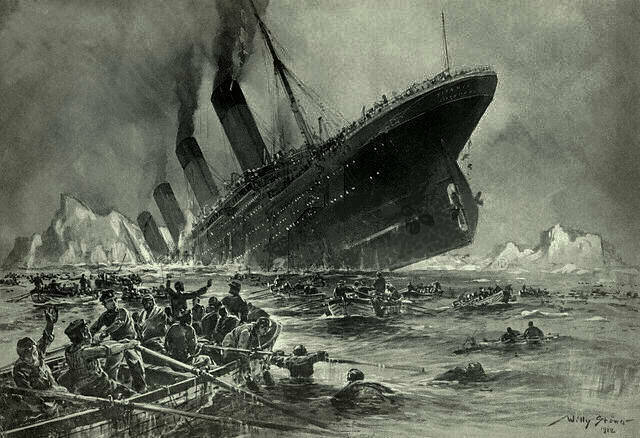 Interesting that the painting shows so many men in the lifeboat, given the strong association of the Titanic disaster with this concept. Two pair! Fine as frog's hair. Only two pair because you put the wrong number!